It’s always tricky when a band starts to grow up. Some bands away and come back weaker, weedier, lacking versions of their former selves (Weezer, Placebo, Travis etc) and others come back stronger than ever (Green Day’s American Idiot? The Flaming Lips’ Yoshimi?). 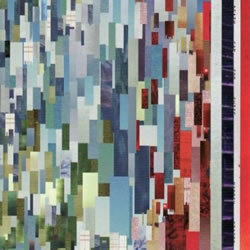 However, Death Cab for Cutie has balanced the thin line between the two with their latest offering, Narrow Stairs. Neither weedier, nor stronger than their predecessors, it’s simply, well, bland. Not lacking anything in particular, it’s good, but fails to have any of the grab-you-by-the-ears stuff that Transatlanticism or Plans had. With many of the band now into their 30’s, “Narrow Stairs” treads a narrow pathway to well-constructed popularity: nothing on the collection will offend old listeners, and it will probably appeal to new listeners too, but nothing that will have the effect of “Soul Meets Body” or “The Sound of Settling”, and the mass OC-style appeal they have earn. Their sixth album, we get a feeling that Chris Walla and Ben Gibbard and their friends have carefully constructed the collection to “tick” the A&R boxes: 8 minute experimental “rock out”? Check –‘I will possess your heart’. Happy, summery upbeat song? Check – ‘No Sunlight’. Rousing, motivation building song? Check – ‘You Can Do Better than Me’. Sensitive end-of the-relationship song? Check – The Ice Is Getting Thinner. Relying throughout on their well-refined “safe” sound, Death Cab rely on Chris’ jangly guitars and Nick’s driving bass lines to get them through the album, with none of the tracks sounding particularly “out there” like they did on some of the suburban angsty anthems of earlier albums “We Have The Anthems And We’re Voting Yes” and “You Can Play These Songs With Chords”. Both of these featured an innovative mixture of moany angst and, well, just plain strange tracks (remember “Flustered / Hey Tomcat!”‘s cut up hip-hop beats?). We understand that bands have to grow up and move on, but Narrow Stairs just looks too much like a “safe” bet that wouldn’t alienate, will sell well, and keep the A&R people happy at Atlantic’s money counting department. Many of the tracks sound like they could provide the soundtrack to many a moderately successful indie flick – you can imagine many of the tracks sound tracking this year’s new Juno or Garden State. It’s the inoffensive stuff you could put on a car stereo with a group of friends with wildly differing senses of humour – nobody will complain, but likewise nobody will go “wow, who is THIS band?”. One saving grace for the collection is Ben Gibbard’s lyrics. Whilst his story-telling skills will never reach the level of the Morrisseys of this world, he sure knows how to tell a tale, be it regrouping at the start of the album, dealing with rejection in the middle and the final blow to the relationship at the end of the album. Lyrics such as “The Ice Is Getting Thinner’s” “We bury our love in the windsory grave / Along came the snow, was all that remained” hawks back to the Gibbard of old, obvious yet familiar and friendly. Don’t get me wrong though – Death Cab can sure make an album that would put many of their pretenders to the thrown quiver in their boots (yes, The Fray, I’m looking at you). Just we’ve grown accustomed to more aurally pleasing albums from them, more challenging works. It just would have been nice if they’d had the balls to take a few risks that got them to where they are now, and took the plunge that would alienate some, but draw more new fans in.